50 Children Killed and 450 Injured in Israeli Attack on Gaza. A report from The Real News. A story that our Canadian mainstream media will not show. EI:“United in resistance,” Palestinians in Gaza remain steadfast. 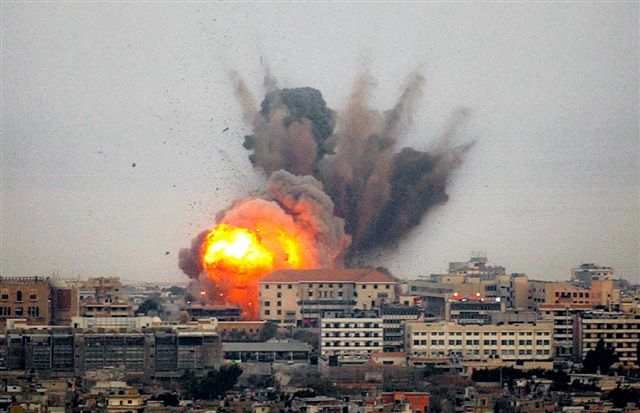 Israel’s attacks on the Gaza Strip displaced tens of thousands of Palestinians from their homes. Ma’an News Agency: Israeli army detains over 50 in West Bank. Hours after cease fire, Israel keeps busy with arrests in Westbank, adding to its 4,520 Palestinian prisoners. Two Palestinians shot dead by Israeli forces during demonstrations. ii) Debate: From Short-Term Ceasefire to Long-Term Peace, How to Resolve the Israel-Gaza Crisis? It’s Palestinians who have the right to defend themselves. Excellent article from the Guardian. Aljazeera: Gaza 2012! (“Gaza 2012 is Palestine’s Soweto 1976”) Article by our friend Haidar Eid. Electronic Intifada: “Flatten” Gaza like Hiroshima and “mow” the population, Israeli public figures urge No comment necessary. Excellent CBC interview with Harry Fear. In spite of the CBC reportage starting with the usual bias – emphasis on rockets being fired into Israel, and stating that Israeli jets and artillery pound “Hamas targets” (fact is that they are pounding many residential targets, and half of the casualties have not been Hamas, but civilians), I commend the CBC for airing this interview with British documentary film maker Harry Fear, on ground in Gaza. Palestinian Centre for Human Rights (PCHR): IOF Continue the Offensive on the Gaza Strip: Civilian Deaths Rise to 10, Including 6 Children, and 253 Others, Including 62 Children, Wounded. Article (Mondoweiss) : BDS Movement: Stop a new Israeli massacre in Gaza — boycott Israel now!